The hardest working LUG in the UK once again pulled out all the stops! 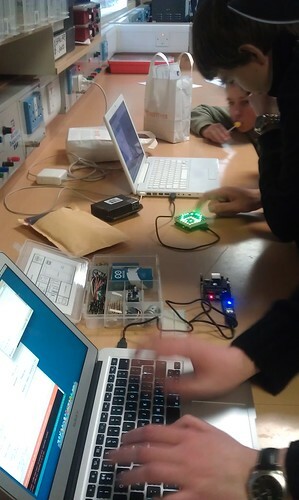 Hack to the Future, a barcamp for kids was held on February 11th 2012. 360 people, 200 children, and 160 adults attended. Adults attended, and lead talks and workshops on computing and technology related content. Children then chose what sessions they wished to take part in. The children loved this event, they got to program, solder electronics, build games, learn how to hack, plus learned more about the IT community. The LUG stall was incredibly busy, with kids eager to learn more about Linux and Free Software. 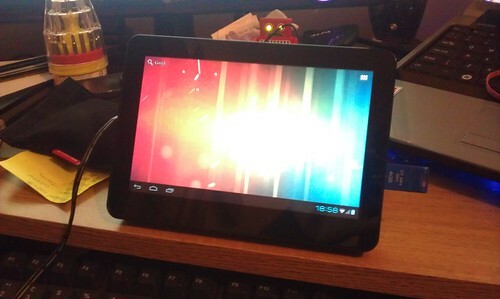 The (in)famous Joggler was there, running a version of Android 4.0 Ice Cream Sandiwch. Tony and Arran manned the stall for the day, with Heed helping to demonstrate the different Linux distributions on offer. Dan Lynch dropped by and offered advice to the children. 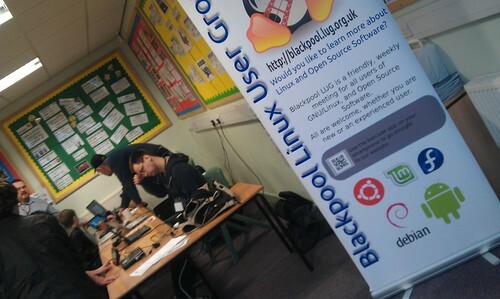 To sum up, Hack to the Future was a great day, and Blackpool LUG is proud to have been part of it. Take a look at @Proactivepaul’s video. The hardest working LUG in the UK….